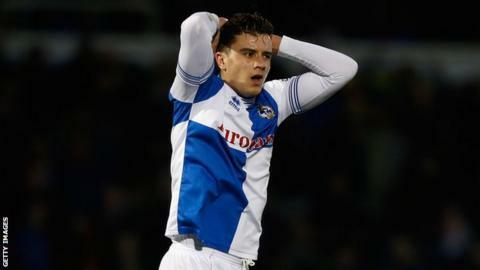 Midfielder Ollie Norburn has left Bristol Rovers by mutual agreement with just weeks left on his contract. A club statement said the 21-year-old, whose deal was due to expire at the end of the season, was being allowed to "pursue other options". Manager Darrell Clarke told the club's website: "Ollie has a chance now to try and earn himself a contract at another club. We wish him well." "For whatever reason it has not gone well for Ollie this season." Norburn joined Rovers on a permanent deal in the summer of 2012, having spent three months on loan at the Memorial Stadium during the 2011-12 season. Last June, he signed a one-year extension. and scored once in 23 appearances during the current campaign.